Moving through a busy week, I have only caught brief glimpses of the news. It seems like it would have been a great week to turn it off altogether because of the overwhelming nature concerning the state of our world. 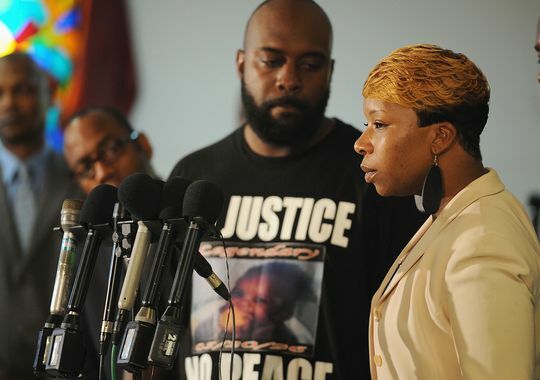 This week, persecution towards Christians and violence has escalated in Iraq, comedian Robin Williams committed suicide, and unarmed teenager Michael Brown was gunned down by a police officer in Ferguson, MO and protests, looting, and violence has escalated throughout the week. 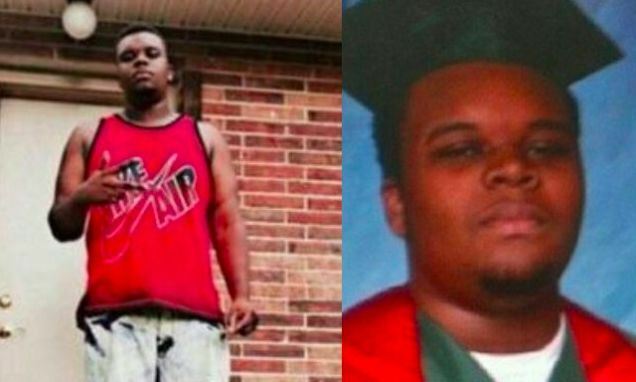 When I finally sat down to really study the story last night, I was hit by an alarming reality: I might have known Michael Brown. The story impacts you differently when you realize that you might have met the kid when he was 7 years old. It brings it closer than just a name on a screen. The summer after I graduated college, I served as Camp Pastor at MFuge in St. Louis, MO. In addition to preaching for the 8 weeks of camp and serving as a pastor to our camp staff, I also went with our worship leader, JC Elder, to every mission site we had in that area. JC and I would get in a van and ride all over counties on every side of St. Louis. We would bring out lunches to the teams, encourage the campers, support the staff, but we also loved to serve along with the teams. I don’t know if I ever was in the neighborhood where Michael Brown lived. I actually do remember the Ferguson are though, and we served in backyard Bible clubs in that area 11 years ago this summer. Michael Brown would have been 7 then. If I never was in the park or on a playground with Michael, I know I was with others that I saw on the news last night. As crowds lined up the streets protesting and demanding for justice, I realized that I had met some of those people hurting. As that entire community and surrounding areas are devastated, it was sobering to realize that I had been on those streets before. I may or may not have met him, but the possibility changed the story’s impact for me. It’s a reminder that he is someone’s son, friend, brother, neighbor. To many of us, this story may be a news piece, but for many this is the loss of someone they love. Due to the number of those impacted, without I doubt I know that I had met some of them 11 years ago. I prayed with some of them. I shared the gospel with some of those on the news. I played games, gave piggy-back rides, and was relentlessly chased in hide and go seek by many of those wonderful people. In some of those neighborhoods, many of the kids I met there at 7 years old had seen more than they should have at that age. And at 18, that’s even more true now. While the official word has not come out yet, it appears that injustice has indeed taken place. While I am devastated by this tragedy, I also pray that one injustice doesn’t spark additional injustices. Two wrongs don’t make a right. I am relieved to read this morning of a change of guard and tone in crowd control and that last night actually saw some peace on those streets. 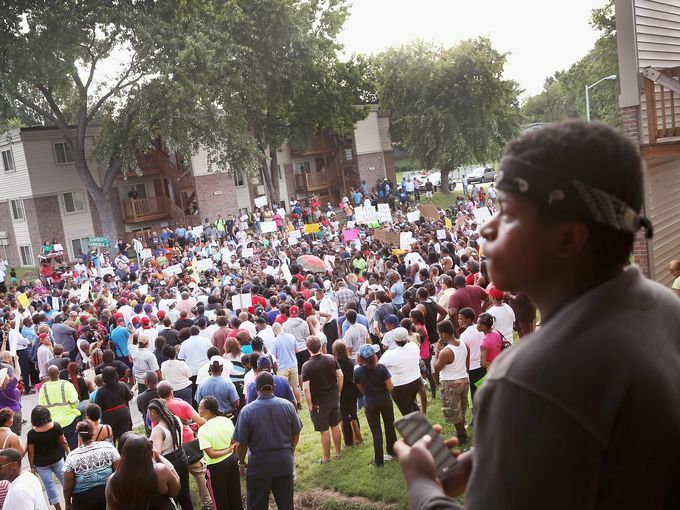 As the story continues to unfold, it just reminds me that Ferguson is closer than you realize. Even if you haven’t walked those streets, we live in a very quasi-connected world. There are threads between us. We hear and see more stories than ever. Everyone has an opinion on the matters of the day. And this same situation could have played out in your community. It could have happened in mine. I don’t know if we will ever understand why this tragedy happened. And I hate that in times when we are seeing advancements in racial harmony, an event like this causes so many to take steps back. And I do mean that on all sides. When something like this happens, many black people are less trusting of white people, and many white people are less trusting of black people. It’s a simple, unfortunate reality. It is simply heartbreaking and yet a reminder of the twisted, fallen world that we live in. I pray for his family that they may find peace. I pray for those truly close to him and the family and pray that churches can surround them with comfort. As we watch these events to fold out, I commit to you to be a voice of change, peace, and hope in a world full of hate, distrust, and violence. I commit to teach my white and my black children to love people regardless of skin tone. I don’t want to be a part of the ongoing hostility, I want to offer peace. Galatians 3:28 ESV: There is neither Jew nor Greek, there is neither slave nor free, there is no male and female, for you are all one in Christ Jesus. John 7:24 ESV: Do not judge by appearances, but judge with right judgment. 1 John 2:9 ESV: Whoever says he is in the light and hates his brother is still in darkness. Romans 10:12 ESV: For there is no distinction between Jew and Greek; for the same Lord is Lord of all, bestowing his riches on all who call on him. James 2:9 ESV: But if you show partiality, you are committing sin and are convicted by the law as transgressors. John 13:34 ESV: A new commandment I give to you, that you love one another: just as I have loved you, you also are to love one another. Romans 2:11 ESV: For God shows no partiality. 1 Corinthians 12:12-13 ESV: For just as the body is one and has many members, and all the members of the body, though many, are one body, so it is with Christ. For in one Spirit we were all baptized into one body—Jews or Greeks, slaves or free—and all were made to drink of one Spirit. Colossians 3:10-11 ESV: And have put on the new self, which is being renewed in knowledge after the image of its creator. Here there is not Greek and Jew, circumcised and uncircumcised, barbarian, Scythian, slave, free; but Christ is all, and in all. Matthew 7:12 ESV: So whatever you wish that others would do to you, do also to them, for this is the Law and the Prophets. Ephesians 2:14-15 ESV: For he himself is our peace, who has made us both one and has broken down in his flesh the dividing wall of hostility by abolishing the law of commandments expressed in ordinances, that he might create in himself one new man in place of the two, so making peace.